Between Wednesday 11 May and Sunday 15 May 2016, shoppers will be surrounded by a sweet citric smell on entering Unit V (next to Iceland), where they can explore ‘Anna with Orange, an art installation with oranges, enhanced by a contemporary dance performance. The oranges are being donated by Tesco Metro on Murraygate. The event is facilitated by scientist, lecturer and choreographer Dr Corinne Jola, Psychology Lecturer at Abertay University. Others involved are Ana Ines-Jabares Pit (set design), Madira Gregurek (dancer), Nahum (Music) and Jill Skulina (costume design). Of course, oranges also have strong local significance. The 20 minute dance performances will take place on Thursday 12 May (4.30pm), Saturday 14 May (10.30am, 1pm, 3pm) and on Sunday (1.30pm, 3pm). 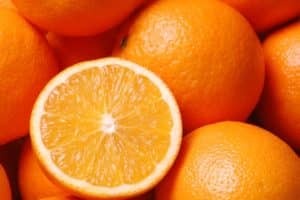 Any oranges which are still fit for consumption will be given away for free after the last performance on Sunday.